In Maine, that means lobster and blueberries; in Alabama, pecans; in Oregon, pears; and across the country, locally grown baby lettuce, vine ripened heirloom tomatoes, and artisan cheeses have become much more popular. This is a growing trend you’ll see on vacation in many places, but few regions have realized the ideal as fully as Colorado, the nation’s early leader in the return to natural ranching, grass-fed beef, and the raising of specialty meats like elk and bison. In general, Colorado’s great soil and more than 300 days of sunshine a year render it an excellent spot to grow all sorts of things. The state is famous for its many bustling farmers’ markets, from Boulder to Vail, and Colorado’s ski resorts are seizing the opportunity to offer standout local fare as an integrated part of the luxury ski vacation. In Beaver Creek, widely known for its luxury and sophisticated dining, farm-to-fork dining has been a hot topic for years, in part because the resort is home to the annual Beaver Creek Winter Culinary Weekend. 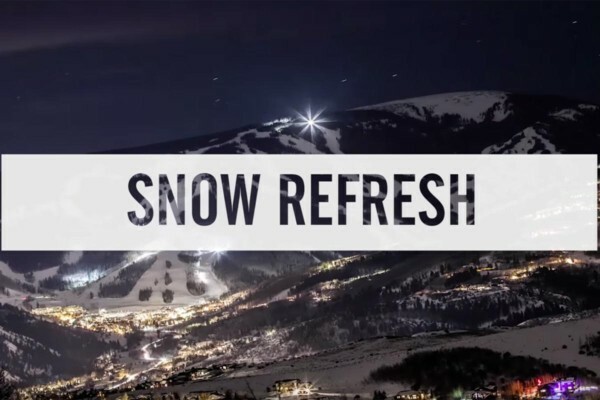 Held every January in the heart of ski season, the four-day festival brings leading chefs from across the country to the resort, where they’re wowed by local farmers’ markets and specialties. Beaver Creek also has some of the most elite fine-dining restaurants in the ski industry, all of which emphasize local fare. At the Beaver Creek branch of Wolfgang Puck’s flagship Spago—the only ski-town sibling of the famed Beverly Hills original—the celebrity chef has updated one of the world’s most iconic dishes, Colorado-style. Prosciutto and melon is a classic appetizer served worldwide, but Puck pairs his cured ham with peaches instead. Why? Because Colorado rivals Georgia in peach-growing fame, and these are the renowned “Palisade peaches,” grown only in the singular town of Palisade on the state’s Western Slope. Puck is hardly alone: Splendido at the Chateau uses a locally made ash-dusted goat cheese, and the ratatouille served with rack of Colorado lamb is made entirely with ingredients from the nearby Edwards Farmers’ Market. At SaddleRidge, it’s not only your cuisine that has local flair (think elk and buffalo chili, grilled Colorado lamb T-bone, and Rocky Mountain trout), but it’s also your ambience: You experience your meal while seated among the largest privately owned collection of Western art and artifacts in the nation. The Ritz-Carlton serves a countless number of its signature bison burgers at lunch each day, and throughout Beaver Creek, virtually every menu features elk (carpaccio, roasted loin, chili), bison, duck, rabbit, trout, and plenty of Colorado lamb (chops, rack, braised shanks). Steak is everywhere, but most restaurants here forego the industrial version widely used in the rest of the country and source local, grass-fed, pasture-raised, antibiotic- and hormone-free beef. Even the burgers served at the resort’s on-mountain food courts and restaurants are made with natural beef. If your mental image of ski-slope dining is stale burgers wrapped in foil and greasy slabs of doughy pizza sitting under heat lamps, then you need to see what’s going on at Beaver Creek, where one slopeside food court serves elk sausage and another has an extensive all-organic salad bar. Even the beers served around town—from New Belgium Brewing Company’s Fat Tire out of Fort Collins, Colorado to Oscar Blues Brewery’s Dale’s Pale Ale out of Lyons, Colorado—are local craft brews. Myriad offerings are on tap, in bottles, or in cans throughout the resort, along with several options for high-end Colorado spirits, including rye, whisky and vodka. In some places, it’s hard to get truly local food and eat with a sense of place; in Beaver Creek, it’s harder not to. Planning a trip to Beaver Creek? Navigating any resort can be a bit overwhelming at first, and this is something we understand. 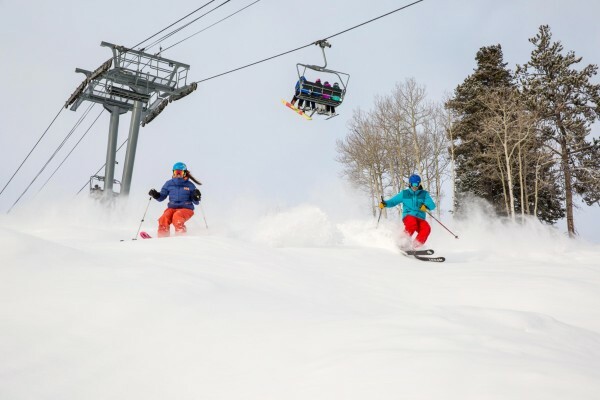 Ease your worry of logistics and reference this Beaver Creek First Timer’s Guide to turn that magical, adventurous family vacation you’ve always imagined into reality.